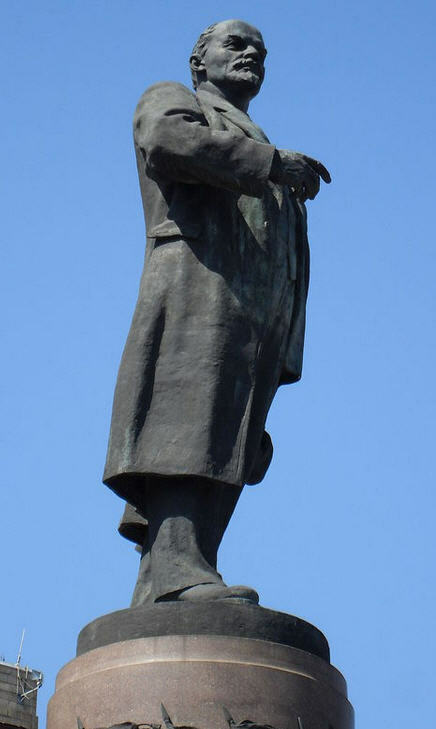 KIEV, December 30 (RIA Novosti) – A statue to Russian revolutionary leader Vladimir Lenin was toppled in the central Ukrainian town of Vatutino on Sunday night only to be put back in place several hours later, the UNIAN news agency reported Monday. “A group of unidentified persons detached the monument from the pedestal and toppled it. But it turned out that the statue, made of plaster and bricks, was solid enough to sustain the fall. Only the back of Lenin’s head and his cheek were slightly damaged,” the agency said. A number of Lenin statues across the country have been vandalized since early December amid ongoing protests against the government’s decision to halt a landmark political and free-trade deal with the European Union and, instead, opt for stronger ties with Russia.